The UCAR affiliate membership is a great marketing opportunity for companies and businesses that interact with REALTORS®. As an affiliate member, you may take part in a variety of benefits, represent your business, and begin to build relationships with the membership. 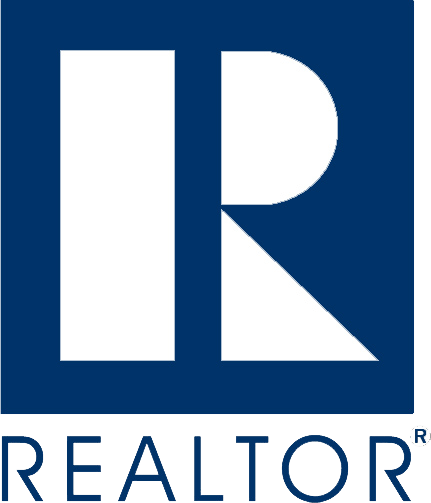 Sponsor REALTOR® education classes—When REALTORS® attend mandatory training in our office, you are welcome to schedule ahead to come and give a short presentation telling REALTORS® about your company. 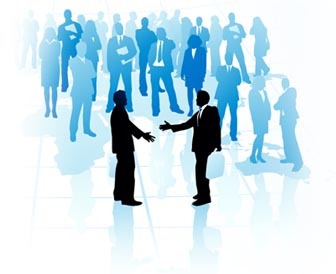 Networking at golf tournaments, free luncheons, and socials with our membership. Receive relevant mailings & bi-weekly newsletters from us. Business cards displayed for distribution at our office. Word of mouth and more. At the Utah Central Association of REALTORS® we have created a great marketing opportunity for companies and businesses that interact with REALTORS®. We call them Affiliates, or friends of our Association, and we incorporate many interactions with them. 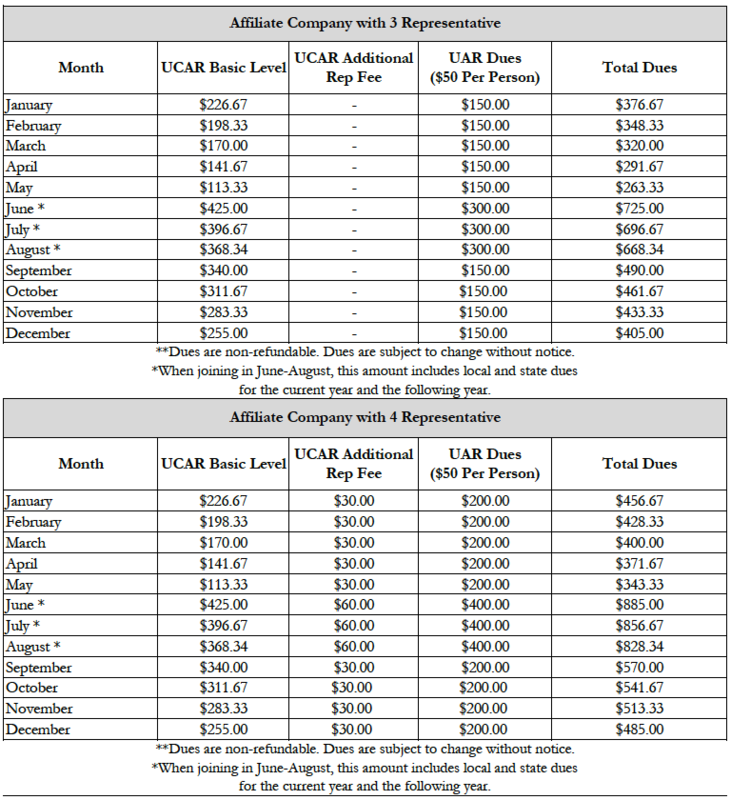 At UCAR, there are two different options when becoming an Affiliate. Option one is to become an Affiliate for the sole purpose of sponsoring events, networking with members, and providing marketing services. Option two is for those Affiliates requiring access to the Supra key system, including home inspectors and real estate photographers. Please see the applications below for additional details. The company annual dues will allow you to register your company and three representatives from your company. You may also register additional individual memberships for added cost. Each affiliate is invited to membership luncheons, will receive the newsletter and is eligible for the Affiliate Awards program. Affiliate Annual dues are due on or before June 30th. Memberships not renewed by August 31st will be terminated. 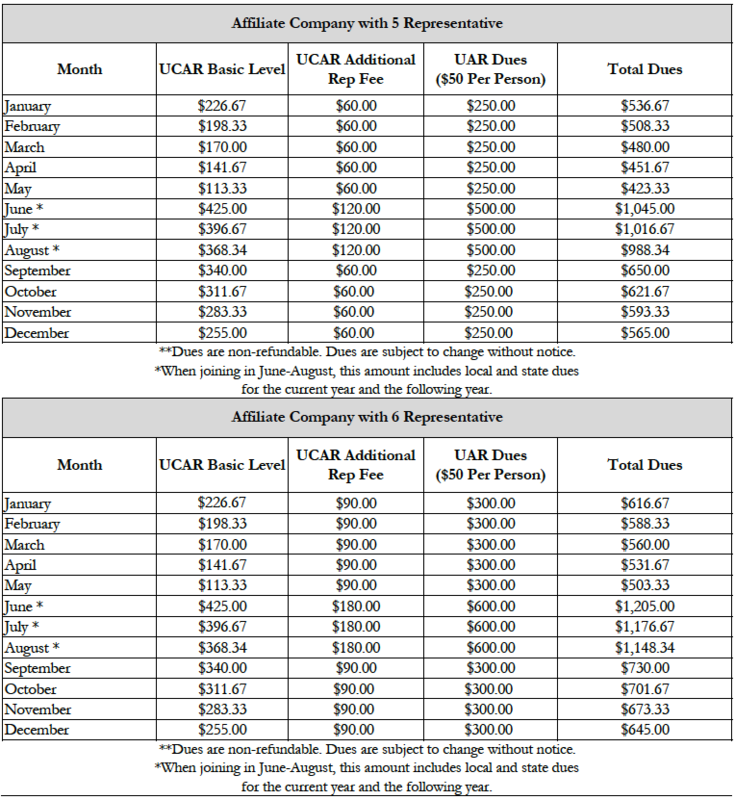 Listed below are the pro-rated Affiliate Annual Dues. 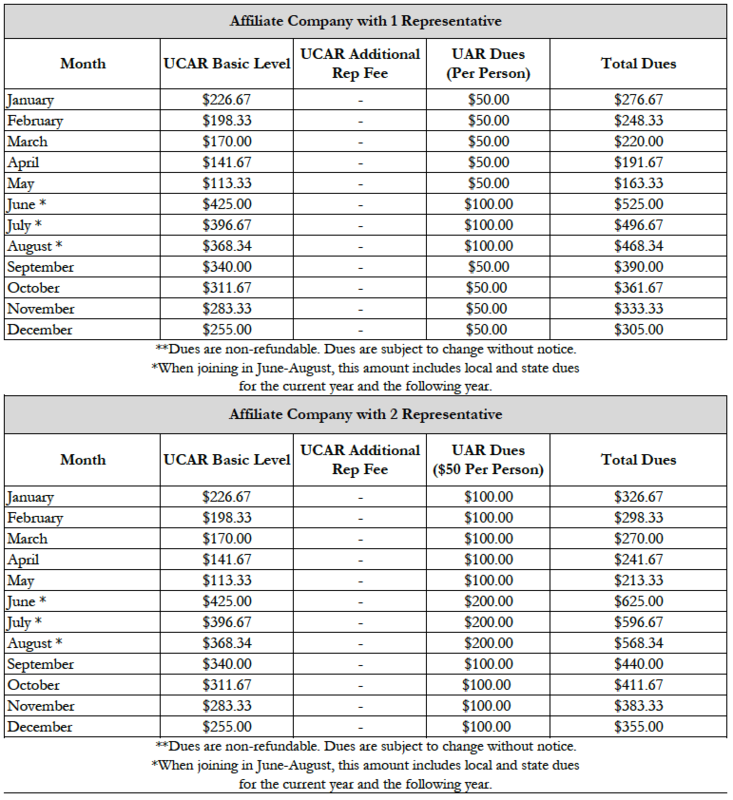 See below for a breakdown on the different Affiliate Dues structures. If you have any questions, or would like an invoice, contact the association at 801-226-3777. 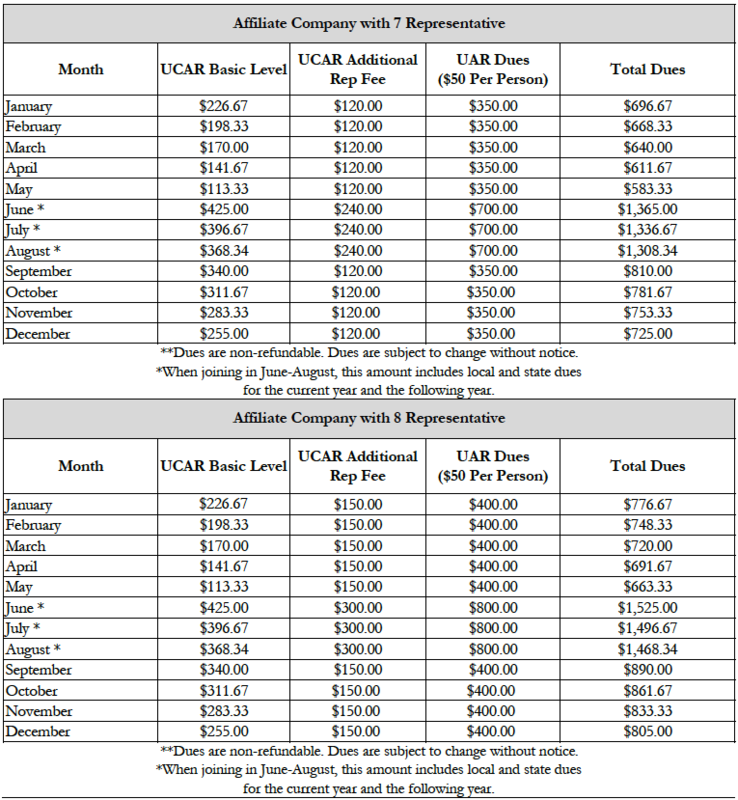 Please email all applications to membership@ucaor.com.